After 50 years on this Earth, Matt Meiers knows why he’s here. Matt Meiers is a bodyscape and portrait artist based in Pittsburgh, PA who believes that the art of creating amazing images starts with the experience. Matt believes that each client is unique, and they deserve to have a session tailored to make them feel special. The experience he creates has carried over into So Many Angels, a non-profit he founded late in 2017 whose mission is to empower and inspire child warriors battling cancer, so that they can become whoever or whatever they want to be WHEN they grow up. * The fastest way to do things you think can’t be done is to surround yourself with people already doing them. * What is the work that you can’t NOT do? Find it. Drake Busath considers himself more of a craftsman as opposed to an artist. He’s a second generation photographer in the process of handing the reigns over to the next generation of his family. Drake Busath is known both for his commissioned portraiture and his travel photography. He currently operates Busath Studio & Gardens, one of the nations premiere portrait studios, along with a staff of 15. He also founded Italy Workshops and for 20 years has guided many hundreds of photographers on personal fine-art journeys in Italy and France. Drake’s teaching has been described as unpretentious and innovative. He’s been invited to present seminars at professional associations across Australia, Asia, Europe and Canada as well most states in the U.S. He’s been a regular speaker at Imaging USA. His work has been featured on the cover of Professional Photographer Magazine numerous times and published in many other professional journals. * Masters and Craftsman Degrees from Professional Photographers of America. * Charter member of XXV, a society of photographers world-wide. Drake and his wife Liz have 4 children and 5 grandchildren. Jeff Dachowski is successful for many reasons, but the main one might be that he puts tremendous effort into being prepared. In high school Jeff quickly fell in love with photography. After pursuing every class related to photography, Jeff attended the Hallmark Institute of Photography. In 2003 Jeff and his wife Carolle opened their studio in Manchester, and have seen meteoric growth since opening. They enjoy a loyal following of children, senior, family and commercial commissions. Jeff has photographed events throughout North America, the Caribbean, and Europe since 1992. His work has been featured in Seacoast Bride, New Hampshire Bride, Woman Engineer, Woman’s World and Rolling Stone. He has received many accolades for his photography. Jeff is a member of PPA’s Board of Directors, a PPA International Approved Juror, a Vatican Approved Photographer and the President of the Society of XXV. Jeff has attained his Master of Photography Degree, Photographic Craftsman Degree and is a Certified Professional Photographer. In 2018 he was awarded the Imaging Excellence award from PPA. In 2012 Jeff and Carolle purchased a building with a storybook past in the small village of Bedford, NH. Their studio was featured in Professional Photographer Magazine in 2008, 2013 and 2019. Jeff and Carolle are the authors of two titles for Amherst Media. “Lighting on Location” and “Profit building for the professional photographer”. Jeff and Mary Fisk Taylor created TheJam.biz in 2019 as a coaching community to help photographers all over the country attain the success they deserve through education, community, and accountability. Jeff has two wonderful daughters age 18 and 19 and has been married to his wife Carolle for over 25 years. Jeff plays drums, bass, and the Chapman stick. During his free time, he builds guitars. Greg Daniel is a modern master of fine art photography who knows from years of experience that there are a lot of things that go into creating fine art. Listen and learn. A nationally recognized husband and wife duo who create exquisite portraits, Greg and Lesa Daniel are also masters in sharing their knowledge and experience. They make it look so easy, but you will learn their secret is behind the scenes preparation and planning that result in timeless original portraits and a highly successful business. Greg and Lesa are internationally recognized for their artistry. Though he is one of the most awarded photographers in the United States, Greg has the utmost privilege of living out his passion every day alongside Lesa in operating their portrait photography galleries in both Indialantic and Titusville Florida. He has achieved both the title of Master of Photography and The American Society of Photographers Fellowship. In addition, Greg is one of the youngest members to be inducted into the prestigious Cameracraftsmen of America in 1991. He is also a proud founding member of the International Society of Portrait Artists (ISPA) and on the Board of Directors for Professional Photographers of America. Caroline Trespalacios knows that it takes time and hard work to be successful. And many times, things suffer along the way. Caroline runs a very successful teen model program that she uses to funnel clients into her senior program. It’s an extremely effective process that she’s built and honed over the years. But it hasn’t come without sacrifice…sacrifice that she deemed necessary in order to make it to where she is today. CG3 is a nationally known photography studio in the Chicago suburb of Naperville. Specializing in Seniors, Teens and agency models. Her style is modern and editorial. CG3 runs a famous model team for Seniors and Teens, acquiring hundreds of applicants every year to join her team. CG3 also travels with her models to amazing destinations. Rachel Marten wanted people to get over the fear of sales and have better lives. So she wrote a book about how to do just that. And it’s free. Rachel and her husband, Clark, started Clark Marten Photography in the basement of their home in 1985 when they were chicken farmers. By 1990 they retired from farming and built a studio onto their home. Creating a business from nothing in rural Montana (which has a population of only six people per square mile) forced them to overcome mental and physical boundaries to do the absolute best with what they had. Over the past 30 years, Rachel has created a winning sales system that takes the fear and anxiety of selling in person away, and has clients purchasing wall portraits and other high-end products…all of which has given the her an unprecedented, top-dollar sales average. She has taught at Imaging USA, Texas School, Photo Vision, SYNC, WPPI, as well as countless regional and national seminars, and her sales system is practiced by photographers around the world. Brittni Schroeder finds joy in her art by doing good and making a difference despite suffering through tremendous tragedy. 4:58 Who Are You Surrounded By? 7:22 What Brings You Joy? Brittni Schroeder lives with her husband of 20 years and her two children in Spring, TX. She has been in the photography industry for 10 years. She worked as a High School Senior Photographer, Editor-In-Chief of Mozi Magazine and taught several in person and online course. She has been involved with non-profit work for the last 8 years, 4 of which were spent doing non-profit work with education in Haiti. In May of 2017, she lost her 14 year old son in a tragic accident. Shortly after she started her own non-profit The Compassion Club. She is a certified life coach and business coach and specializes in confidence in business and life. Blogging may seem daunting. It may even seem archaic. But, rest assured, it is neither. Holli True lays out a strong case for the relevance of blogging and provides great tips for executing a solid blog your clients will want to visit and be featured in. Holli True is a high school senior portrait photographer based in Eugene, Oregon. She has specialized in seniors for nine years, building a genuine brand on the foundation of Young & Free. As industry educator, Holli loves nothing more than connecting with other photographers from all over the world, sharing her passion and simplistic approach to senior photography. She is one of the founders of Get Deconstructed, an educational movement for photographers that includes workshops, a Facebook Group and a Podcast called Certified Madness. Past/Present speaking engagements include: Conference Twelve, Click Away, Seniorologie Tour and Showit United. She also teaches the Evoke Workshop for senior photographers in Oregon each year. Holli is a dreamer, a thinker, a chaser and a doer. When she isn’t exploring the Pacific Northwest with her camera, you’ll find her adventuring with her family of four in their RV. Leslie Kerrigan chose to photograph high school seniors after noticing that nobody else in her market was doing so. Then, she created a market from scratch. 31:20 Where is Leslie Kerrigan? Leslie Kerrigan is a high school senior photographer in Greenville, South Carolina. In addition to running her own senior portrait business, Leslie created a site for other senior photographers as a resource for education and inspiration called Seniorologie. Through Seniorologie, Leslie has a weekly podcast called The Seniorologie Podcast, online workshops for photographers, a private Facebook Community for senior photographers called The Seniorologie Community and a conference for high school senior photographers called Conference Twelve. Leslie loves meeting photographers all over the country and helping them in their senior portrait business. She has been a speaker at WPPI, Click Away, The Savvy Photographer Retreat, Conference Twelve, Focus and she has taught a class for Creative Live. When she is not meeting other photographers and helping them grow their senior business, she is spending time with her family which is full of boys! Being a senior photographer gives Leslie the girl time she craves and she loves helping her clients with what to wear and spending time with them during hair and makeup before taking their photos. Leslie believes in making her clients feel beautiful and truly becomes friends with each one of them. Conference Twelve 2019 will be held in Nashville, TN August 25-28. Registration is open and can be found on the conference website. Be sure to follow Conference 12 on Instagram at @conferencetwelve and check out the amazing line up of speakers we have this year!! This conference is the perfect educational event for the high school senior photographer! Craig Swanson has spent his career being the left-brain support for right-brain professionals and the results are incredible. Craig Swanson is the secret weapon behind online business platforms that have allowed extraordinary educators make their most ambitious dreams into reality. Craig co-founded CreativeLive, built the Sue Bryce Education platform, and is constantly innovating new ways to create connection between great instructors and large virtual communities. George Varanakis has been killin’ it behind the curtain for years. Get to know him a bit and you won’t be surprised at why he’s been so successful. 15:15 How Big Can This Get? As an EVP, George Varanakis oversaw the largest photography conference and trade show, WPPI (Wedding and Portrait Photographers International). With over 16,000 attendees and over 400 exhibitors and sponsors, George grew the show over 400% in the eight years he was there. In 2011, WPPI was sold to Nielsen Expositions, where a new opportunity arose to move from the conference world to the online education world. As GM of the Photo Channel at CreativeLive, a live online educational network, George helped grow the channel to a multi-million dollar business. By instituting new platforms and strategic alliances, George helped facilitate rapid growth. His creative approach, along with a sales mentality, helped CreativeLive grow into the #1 online educational network. Today, George oversees Sue Bryce Education with a membership of 10,000 photographers. He also runs The Portrait Masters online education and conference. The conference has sold out in 24 hours since it’s launch in 2017. George also enjoys long walks on the beach, puppies, and candle light dinners. Alycia Alvarez knows more than most how important it is that we exist in portraits. Based in Keller, TX (in the DFW area), Alycia also travels to Tampa, FL several times a year. With over 17 years as a full time professional photographer in the industry, Alycia has been capturing priceless memories and milestones “officially” since 2001 and is sought after for both portrait sessions and as an educator for photographers. She has an out-going and silly personality which puts her subjects at ease in front of the camera and makes her sessions lots of fun for everyone! She has always had a passion for photography. During her years in college, she studied the art of black and white film photography. After becoming a mother herself, she realized how quickly her children changed right before her very eyes. Relentlessly, she began to document their little lives through countless photographs, which she knew would capture a glimpse of the person they were at each particular moment in their life. In addition to creating beautiful portraits, Alycia is also an international award winner, print competition judge and educational speaker, teaching thousands of photographers from across the world every year. Parker Pfister doesn’t want money. He wants experiences. And to him, that’s what life is all about. Parker Pfister is an artist, a teacher and a mentor. He creates stories using photography and film as his translators.These translations spark change in our world.He visualizes a new generation, where this world experiences how others see and not what they have already seen. He visualizes a generation that is authentic. With this vision, he guides artists through their own process, with the belief that everyone is creative and needs to be heard. Parker believes that each person has the ability to self inspire, which breeds this elusive authenticity. He is an avant-garde director of photography and photographer based out of Asheville, NC, and traveling often. His capacity to not only navigate and embrace any given situation, but to own it and make it speak is what distinguishes him from others. An image must speak. It must tell a story, or part of one. They must say something, even if it’s a whisper, and Parker can spin a tale in the blink of an eye. His work shoots straight past the obvious and into the world overlooked. They make you feel. What is seen with the eye during the moment the shutter trips is far from its rendering. Parker’s unconventional treatments of the image during exposure and it’s alternate processing leave you with an image that is always a wonderment. His innovative use of unique mediums, cameras and lenses enable his images to unveil the soul and explore the unknown. Parker started his journey into the art of photography at the age of 6 when he got his first camera. 8 years later Eastman Kodak honored him with a silver medallion for second place at the 1982 World’s Fair. While other kids dreamed of being firefighters and cowboys, Parker dreamed of being a National Geographic photographer. His friends all wanted a Mustang with a V8, while he wanted a Deardorff V8. (He already had a mustang V8) Parker has had a camera in his hands ever since photographing anything that interests or moves him. The camera fits comfortably in Parker’s hands and through it he can share the way he sees the world in which we all live. Parker is available worldwide for commissions, collaborations and projects. His prints and installations are available for purchase and have been widely collected. Contact: parkerj@parkerjphoto.com for more information on prints or to set up commissioned work. Zack Arias talks depression, perspective, and what to do when you desperately need to be inspired. Zack Arias is an editorial and commercial photographer based in Atlanta, GA. His specialty is niched in press and publicity photography for the music and television industries. His clients include HGTV, Land Rover, Business Week, The Coca-Cola Company, TIME, The Smithsonian, VICE, and Sony Music. Zack’s first run at being a freelance photographer left him heavily in debt and placed his family on the edge of destruction. 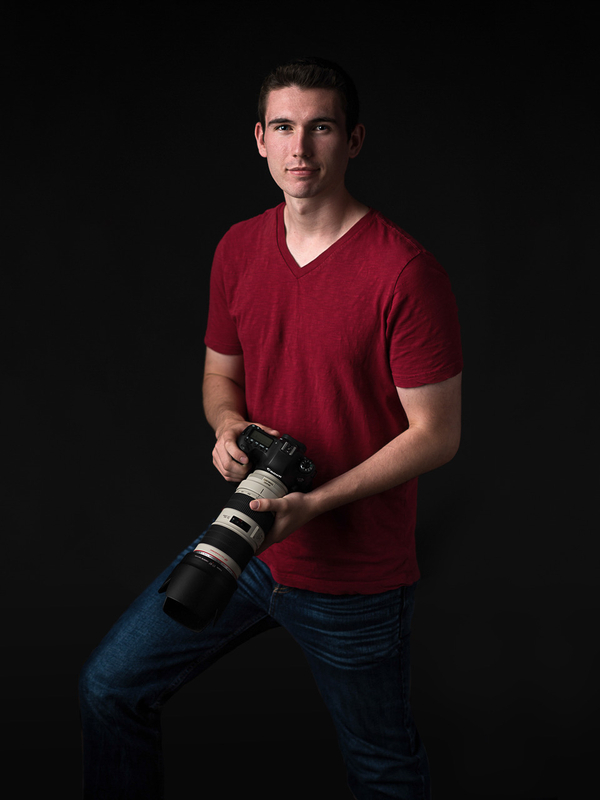 He came to a place in his career that required him to put the cameras down and take a “day job.” After two years of selling off gear to help pay rent and fix beater cars, Zack was given a chance to come back to the photography industry as a second shooter at weddings. He took a D100, a Visitor 285 flash, an ample amount of faith, and quit his job at Kinkos in October of 2003. He was determined to do things differently this time around. His minimalist approach to photography turned into the OneLight Workshop in 2005 that he now teaches around the world. It has become so popular that dates for the workshop regularly sell out months in advance. With 29 years experience, Sue Bryce is one of the most recognizable photographers in the imaging industry. New Zealand born and raised Bryce now lives and works in Los Angeles. Her contemporary glamour portrait style transcend past stereotypes and has changed the face of portrait photography. Honorary Fellow presented by the NZIPP 2018 | WPPI International 2012 Grand Award and WPPI International Children's Photographer of the year, Australian Portrait Photographer of the Year 2011 & 2012, NZIPP Overseas Photographer of the year 2011, NZIPP Portrait Photographer of the Year 2007 in 2006 achieved the level of Fellow with the NZIPP New Zealand in 2010 Achieved the level of Master with the Australian Institute of professional. 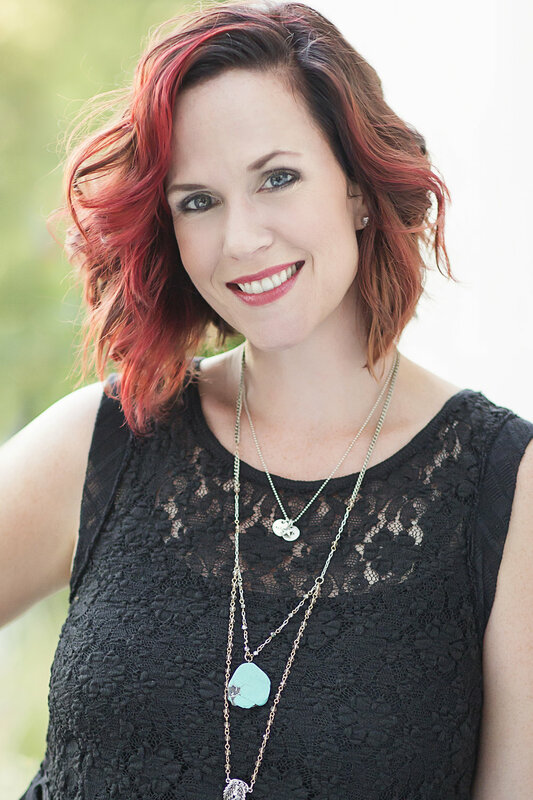 Bryce has created her own ground-breaking educational platform in 2014, in which she uses her signature techniques to mentor and empower thousands of photographers and businesses internationally. Sue Bryce Education is an online education platform & community for contemporary portrait, connecting to photographers globally through live broadcasts, videos, in-person workshop and The Portrait Masters annual boutique conference that hosts the Awards + Accreditation program. In 2015 Bryce was greatly honored to be chosen to represent Canon USA in the Explorers of Light program. Sally Sargood has been in the biz for quite some time. She’s an expert at many things marketing. Here, she talks about the how’s and why’s of integrating video marketing with social media. For 28 years, Sally Sargood’s passion has been photography. Her role has always been behind the scenes but entrenched in the business of photography. From working in sales and marketing for pro labs, to Personal Assistant and Studio Manager for Jerry Ghionis, her’s is a very unique situation where she’s seen first hand the many changes seen the photography industry over the last 20+ years. In 2010 she started a consulting business called I Need a Sally, offering photographers help in their businesses. Her audience quickly expanded and photography vendors also began seeking her advice. In 2013 she began working with Animoto moving to New York City soon after to work full time out of their NYC office. She started out in Marketing, running the Pro Photography division at Animoto, but has recently totally embraced video, taking on the role of Video Production Manager which quickly escalated to her current role as Social Media Strategist. . With video becoming a necessity on social media,, she s at the forefront of this latest trend in marketing your business. Latasha Haynes almost died in 2017. Hear about how it was one of the hardest things she’s ever faced. And why she wouldn’t change it for the world. Based in Tacoma, Washington, Latasha is half of the dynamic husband and wife team that makes up Ike and Tash Photography and Motion. The duo specializes in family, wedding and senior portrait photography. A mentor and community leader, Latasha reaches hundreds as a powerful and engaging conference speaker, using her personal stories, life experience and innovative ways of approaching problems to inspire. She has been blessed to follow her dreams and do what she loves shooting weddings and portraits across the country and internationally, as well as teaching, speaking and helping other photographers around the country grow and strengthen their businesses. She believes in the beauty of women collaborating towards their dreams and created the hashtag #hersuccessisnotmyfailure to established women empowerment. This hashtag has been used nearly over 1000+ times all over social media, including by high profile leaders and celebrities. She also does this by selecting a unique group of high school juniors and seniors, every year, to participate in her businesses very popular “Street Team Sisterhood” experience. In her spare time, she love planning events, playing guitar, traveling, writing, and hanging with her friends and family. She has been married for 10 years to a man she met on MySpace, the original “Catfish,” before the term even existed and her 4 year old daughter Wisdom is the best thing to ever happen to her. Nicollette Mollet loves fashion. It’s been her inspiration since she was a young girl with dreams of becoming a fashion photographer. Listen in as she talks about how she made it happen and what it looks like today. Having received her BFA in Photography from The Art Institute of Dallas in December 2013 [with Dean’s Honors], Nicollette Mollet currently resides in Dallas, TX. Nicollette has been fortunate enough to receive many awards such as Outstanding Graduate and Best Portfolio from The Art Institute of Dallas, 17th Annual Photographic Award by Toni & Guy Salon/Academy, and The People’s Choice Award from RAW Natural Born Artists: RAWards Semi-Finals. She has also been featured in multiple events and galleries such as Million Air’s Wings & Wheels Events, Pegasus Gallery, RAW: Natural Born Artists: Encompass & Semi-Finalists (Director’s Highlights). Her work has been featured in publications such as Papercity, Modern Luxury DALLAS, LIVING Magazine, The Urban Well Magazine, Wallflower Zine, GLASSbook, ATLAS Magazine, Elléments Magazine, THRWD Magazine, Elegant Mag, La Mode Dallas, and many more. Nicollette enjoys capturing the human emotions and movements of all kinds of beautiful people while never forgetting to incorporate the fashion and aesthetics. Sean Brown is a young senior photographer who has his finger on the pulse of today’s clientele. He’s an expert at incorporating video into his marketing and he believes it’s essential for you to do the same. Get ready to take some notes as he flies through his thoughts and ideas. 0:26 Who is Sean Brown? 11:24 Instagram TV, YouTube and Periscope! Sean Brown is based out of Vancouver, WA and specializes in high school senior photography. Along with being published in numerous magazines, he has been named four years running as one of the Top 100 High School Senior Photographers in the nation by Senior Style Guide Magazine and one of the Top 25 Up & Coming Senior Photographers by The Twelfth Year and Modern Teen Style Magazine. Sean has been asked to speak at photography conferences and is an educator to other photographers. He loves teaching and helping other photographers by giving them the necessary tools to take their business to the next level. Audrey Woulard is passionate. She speaks her mind and isn’t afraid to stand up for the underdog (she also considers herself an underdog of sorts). Hear what she has to say about the state of the industry, fighting for justice, and working hard. 4:01 Why did you leave? 32:27 Right Thing Wrong Way? Audrey Woulard began her photographic career capturing portraits of young children and families. Several years later, it has been an amazing experience! Aside from her studio work, she’s traveled the world, teaching photographers in places like London, Australia and The Netherlands. She’s had numerous commercial assignments with corporate giants like Pottery Barn Kids, IAMs pet food and Advocate Healthcare. Today, Audrey has made a transition back to her roots, but in typical Audrey fashion, she’s doing it a bit differently. She exclusively photographs teen and tweens and has extended that business to even include her own teen print fashion magazine, called Kids and the City (KATC). Sought-after teacher, phenomenal photographer, and creative artist, Audrey Woulard delivers it all! Tara Rochelle grabs inspiration from the fashion industry and incorporates it into her senior photography business on the West Coast. She’s laid back, but very driven. She knows what she wants and how to get it. Listen in as she talks about incorporating styling into your photo shoots so much that she begins to lose her voice! Tara Rochelle is based in sunny Los Angeles California and specializes in fashion infused portraits for teens and high school seniors. Taking her inspiration from the fashion industry, Tara is able to pose and direct her subjects In a modern yet classic style that her clients and their parents love. Her outgoing and fun personality help to put even the most shy subjects quickly as ease. Her imagery is highly sought after and clients come from across the country to work with her. Tara has been featured in numerous publications including Senior Style Guide's HOT 100 issue where she was been awarded icon status every year and has been named a Leading Legend Judge for 2016 and 2019. Tara's work has also been featured in People Magazine, InStyle, Mozi Magazine, Lemonade & Lenses, and she is a regular contributor to Inside SCV for their fashion editorials..
Christina Ramirez is in a rut. And she wants to talk about it. Come along as she processes some issues and develops some potential solutions. 1:07 Who is Christina Ramirez? 8:48 What am I afraid of? 20:07 What needs to be done? Christina Ramirez operates a studio in downtown San Antonio, Texas. She left a job in corporate banking for photography 6 years ago and has been specializing in senior portraits for the last 4.5 years. Her love for all things colorful and bold has helped shape the photographic style she is known for yet she’s always seeking ways to grow and evolve and is the first to encourage others to do the same. Christina has a degree in education so teaching photography and mentoring is something she truly enjoys. She has had the honor of speaking at Senior Style Guide’s PUSH conference for 3 years, along with speaking at Conference 12, The Blink Conference and Reset Conference. Christina has been published in Senior Style Guide, Modern Teen Style, ShootProof Blog and has received numerous awards including Hot 100 Senior Photographer 5 years in a row including ICON status the last 3 years. She was recently named “Best Portrait Photographer in San Antonio” by Expertise for her 2nd time. Aside from speaking at photography conferences, mentoring and running her business, Christina is a dreamer, obsessed with self-help books and podcasts, is a travel-lover and married to her best friend. Braedon Flynn is a phenomenal wedding and event photographer. Take this opportunity to learn from someone who’s superpower is “High Capacity”. Braedon is a Southern California based destination wedding photographer who specializes in shooting analog film. He works with some of the top wedding planners in the industry photographing weddings and events all over the world. Along with being a photographer, Braedon is a content creator, educator, and entrepreneur. In 2014, he launched a video blog and later podcast called The Artist Report and then a 2nd Podcast focusing on photographers called The Photo Report. In 2016, Braedon launched a company called filmsupply.club - a member based online store and community where members get discounts on film and other photographer related products and services. In 2017, Braedon launched his own personal YouTube channel as an educational Vlog series talking about business and photography.